Natalie joined Clapham & Collinge in September 2015 as a paralegal in the Business Support Team and completed her LPC part time at BPP Cambridge University in August 2017 whilst working full time at the firm. Natalie started her training contract in August 2017, taking her first seat in Employment Law. Natalie assisted with all aspects of Employment Law, supporting individuals and businesses in contentious and non-contentious matters. Natalie gained valuable experience in this seat assisting with unfair dismissal cases, discrimination cases and negotiations on settlement agreements. 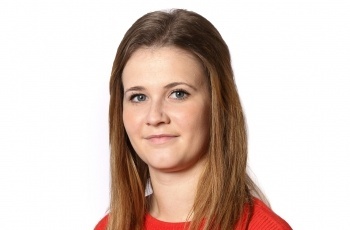 Natalie began her second seat in August 2018 (after a period of maternity leave) in Residential Conveyancing. Natalie assisted the property team with a wide spectrum of Residential Conveyancing issues. Natalie has now returned to the Employment Law team for an extension of her first seat. Natalie is based in our Norwich office and continues to assist on all aspects of Employment Law for both individuals and businesses. Natalie is due to qualify as a Solicitor in April 2020. In her spare time, Natalie enjoys spending time with her family and her dogs, going for long walks in the Norfolk Woodlands and gardening. 'Thank you for your time, help, advice and patience' client thank, September 2017. The Legal 500 United Kingdom 2017's guide to outstanding lawyers nationwide recommends trainee solicitor Natalie for Employment law. Special thanks go to Natalie Smith, Neil Ashley and Mark Kermez who between them gave me peace of mind that I was in very good hands. I would not hesitate to recommend them and Clapham & Collinge in general.